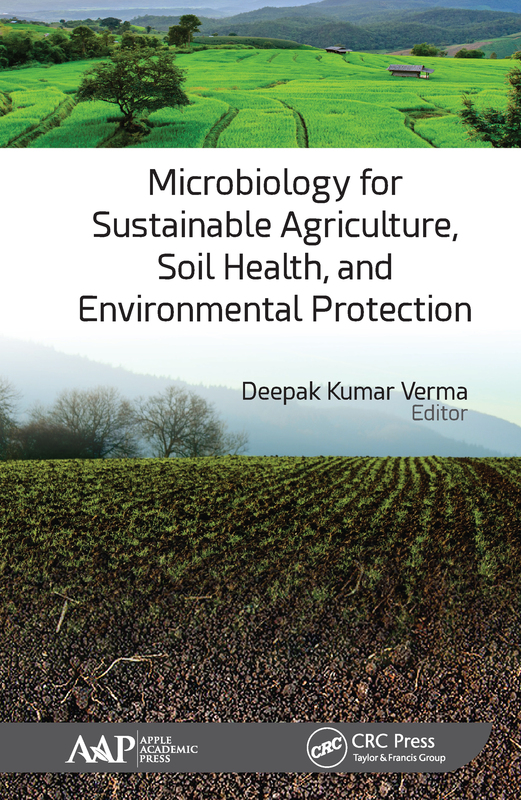 With contributions from a broad range of experts in the field, this volume, Microbiology for Sustainable Agriculture, Soil Health, and Environmental Protection, focuses on important areas of microbiology related to soil and environmental microbiology associated with agricultural importance. The information and research on soil and environmental microbiology presented here seeks to act as a gateway to sustaining and improving agriculture and environmental security. Part I focuses on soil microbiology, dealing extensively with studies on the isolation, culture, and use of Rhizobium spp. and mycorrhizae to improve soil fertility, plant growth, and yield. This includes research progress on biogeochemical cycles, plant growth promoting rhizobacteria (PGPR), microbial interactions in soil and other soil activities, microbial diversity in soil, biological control and bioremediation, and improvement of beneficial microorganisms (N2 fixers, phosphate solubilizers, etc.). Part 2 goes on to focus on microbiology for crop disease management and pathogenic control in sustainable environment, with chapters on disease management of agricultural and horticultural crop plants through microbial control and how microbial control may a be a potential solution for a sustainability in agriculture. Part 3, Microbiology for Soil Health and Crop Productivity Improvement, features a chapter on the activity and mechanism of nitrogenase enzyme in soil, which is very important for soil health and crop production and productivity. Part 4 presents two chapters entirely devoted to the environmental pollution and its control, looking at the interaction of microbes in aqueous environments and eco-friendly approaches. There is an urgent need to explore and investigate the current shortcomings and challenges of the current innovations and challenges in agricultural microbiology. This book helps to fill that need. This volume will be valuable to those involved with agricultural microbiology, including students, instructors, and researchers.